Why Haiti? And why Cange? 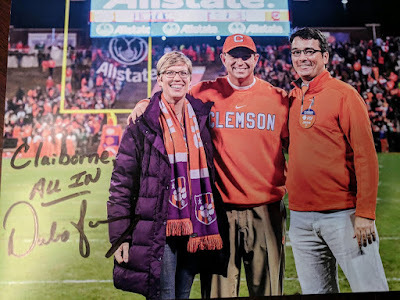 The simple answer to this question is that Bishop Beckham of the Upper SC Diocese made a commitment in 1979 that we would take care of the people of Cange. And we did. The diocese sent money, volunteers and resources to Cange for years. With these gifts, the town grew from a single, simple church and scattered, desperate people to having a clean, reliable water source, a fully functioning hospital equipped enough for surgery, a TB clinic, an eye clinic, a beautiful church, a successful primary and secondary school, gardens and residences. As such, the town itself grew, and now has homes and markets and even a paved road leading to it. It takes regular, systemic, long-term investment to make this kind of change. You can't build a new town with one or two donations. You can't completely change the life expectancy of a people with one or two medical visits. It's easy to give money to the latest cause, the latest place you read about that has a great need. Yes, there are great needs all over the world and in our own backyards--but we made a committment to Cange, Haiti. By staying there, by continuing to invest there, we Episcoplians are not only fulfulling a long-ago made promise, but we are investing in a community where we feel we can do the most good and effect the most change. Partners in Health/Zanmi Lasante has shifted their focus to Mirebalais. They received a lot of money after the earthquake and focused on a newer hospital, one that could grow (Cange is restricted), and chose Mireabalais, a larger city located at a highway crossroads. That hospital and its related TB lab are important and are meeting health needs in the Central Plateau -- but that doesn't mean Cange needs to be left behind. We have supported this community for 40 years; it wouldn't seem right to leave now (even with political issues in the church, which I won't go into here). Due to the work on water systems and health care, led by Partners in Health/Zanmi Lastante and the Upper Diocese, infectious diseases have been nearly eradicated in the Central Plateau. Unlike 40 years ago, there are few cases of cholera, TB, malaria and HIV, as well as fewer cases of malnutrition. So once you have cured people of the threat of these deadly diseases, they are now living long enough to have chronic illness, and the most common illness here is hypertension (high blood pressure). The going theory is that the genetics of the people from the original African countries where they were brought from causes their kidneys to hold onto too much salt. So hyptension and the strokes it leads to when untreated are significant problems and cause of death here now. We saw about 450 patients in our four clinics. I would guess that 60-70% had high blood pressure. Many had symptoms that were due to hypertension: headache, body aches, nausea, trouble sleeping, dizzyness, fatigue. After visiting our clinics, they received a 30-day supply of an effective, inexpensive (for us; they don't pay) medicine that will immediately make them feel better and extend their lives. Unfortunately, we also saw stroke victims who hadn't been treated in time, and heard many stories of family members having died of stroke. Now the challenge is that hypertension has to be treated by taking a pill every day for the rest of your life. We are now relying on the patients to come to the community health meetings each month to pick up their free medications for the month. 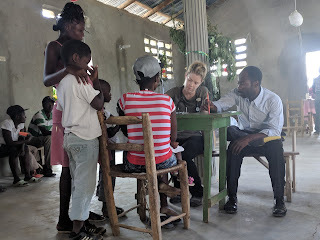 And we are relying on the community health workers, Maneus, Margaritte, Emmanuel, and others, to hold the meetings, reach out to those who don't attend, and oversee the ongoing health of their villagers. But this is how it has to work -- they can't rely on a once-a-year visiting medical team for all their needs. The people get a prescription from us, but they are part of a system involving community health workers and local hospitals (Cange and Mirebalais) that can treat them as needed. We are part of a larger health organization that is based in and operates fully in Haiti. And what's the story with supporting students? 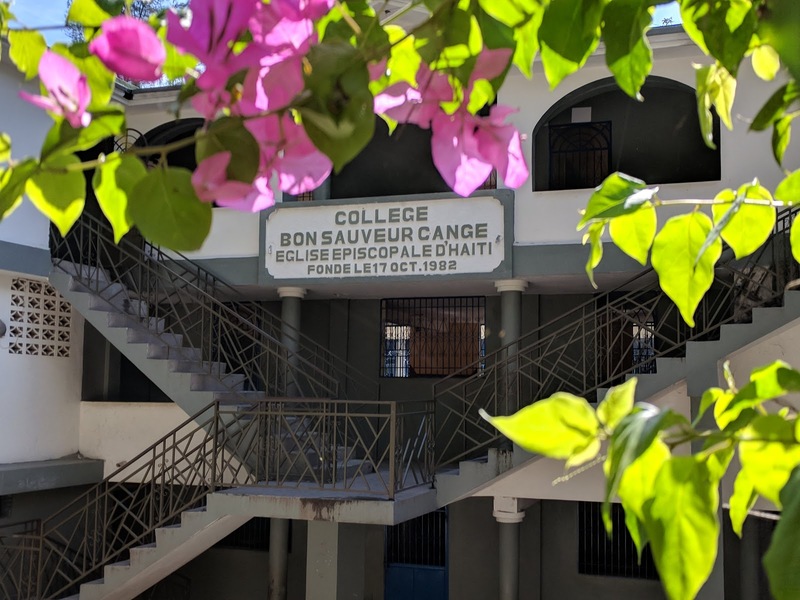 In addition to the medical ministry, Holy Trinity Clemson supports several university students as well as the Cange school, Bon Saveur. From my understanding, we help pay the teachers at the school, and we directly pay for 12 or so students to attend university. Earl Burch and two others personally help fund more primary, secondary and university students. Some others have bought textbooks for university students over the past years. Many of our current and former students were the translators and helpers on this trip. 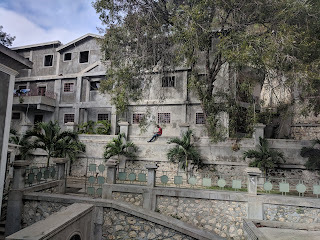 Though there are free, public schools in Haiti (well, free as in no tuition, but families must still buy supplies, uniforms and food), most schools are parochial and private. Bon Saveur has a required tuition and is the only school in Cange. Holy Trinity has helped pay for students to attend, but then when the students are ready to go to college, they need money for that too. But there are complications in wiring individual people money, and there are challenges in arranging for middlemen (many known to skim a lot off the top) to administer the funds. The church and related donors are still sorting out the best way to do this, but it's clear that the need is strong (we have a temporary arrangement with Summits Education, hence our visit there). 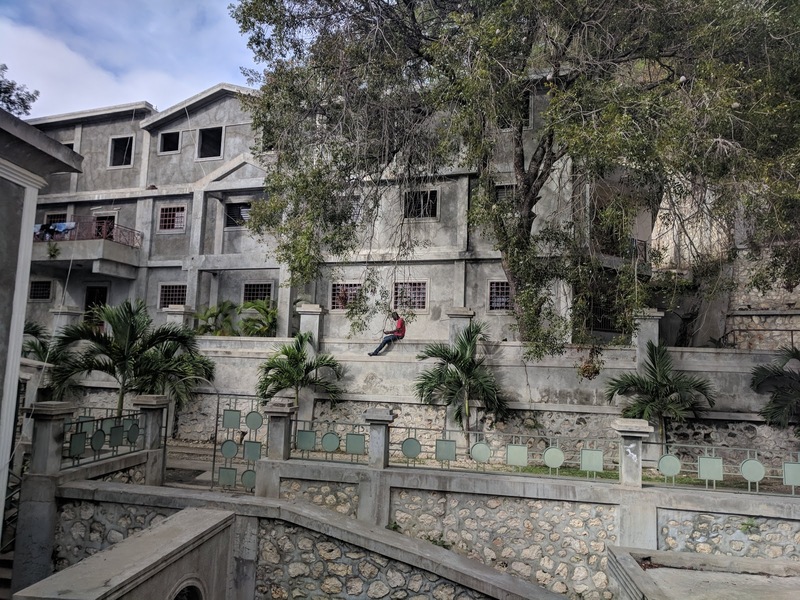 Students want to go to school and many want to study to be doctors and nurses (which are very, very needed in Haiti), so funding them is helping to improve and shape the future of Haiti.